Mike Vecchione recorded a career-best four points (1g, 3a) on Friday in Bridgeport. It was the first four point game by a Phantom this season. Vecchione now has 9 points in his last 10 games. 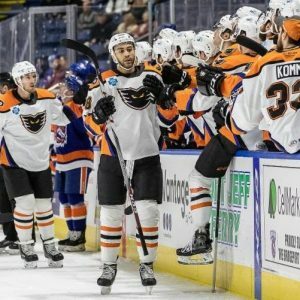 Tyrell Goulbourne is now the Lehigh Valley Phantoms All-Time leader in penalty minutes with 274. He passes Samuel Morin who had 273. Goulbourne has six fighting majors this season. On Friday night, Justin Bailey recorded his first two-goal game with the Phantoms. It was his third straight game with a goal and he now has six points (4g, 2a) in eight games with Lehigh Valley. The Phantoms scored at least seven goals for the third time this season in a crazy back-and-forth game in Bridgeport. Mike Vecchione notched four points and Justin Bailey scored twice. Greg Carey, James de Haas, Dale Weise and Chris Conner also scored for Lehigh Valley. Lehigh Valley fell to Hershey 2-1 on Saturday in the ninth meeting between the in-sate rivals. Carsen Twarynski scored his sixth goal of the season for the lone Phantoms tally. 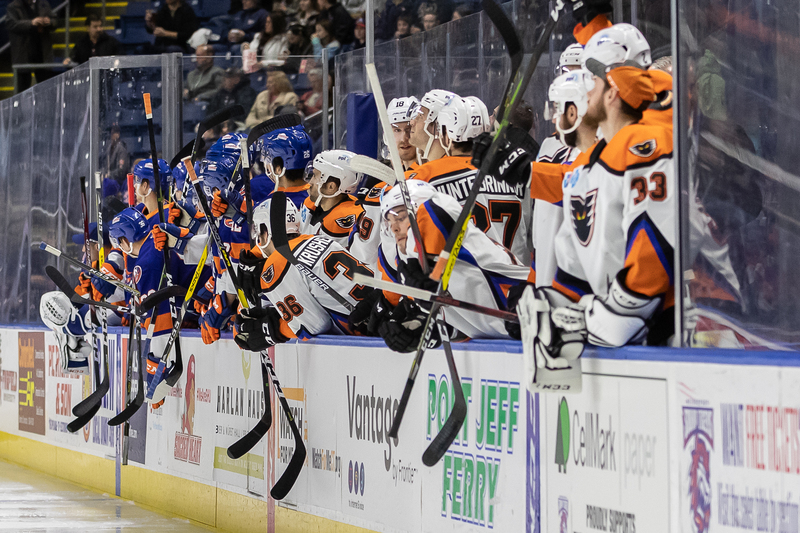 The Lehigh Valley Phantoms travel to Utica to take on the Comets for the first time this season on Friday. The Phantoms were 1-0-1 against the Comets last season, including a 6-4 win in their only trip to Utica. 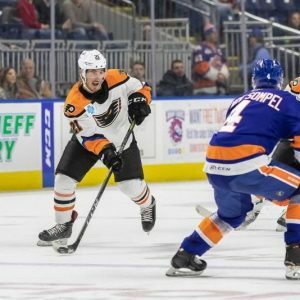 Phil Varone scored a hat trick to lead the Phantoms and Greg Carey, T.J. Brennan and Cole Bardreau also lit the lamp. 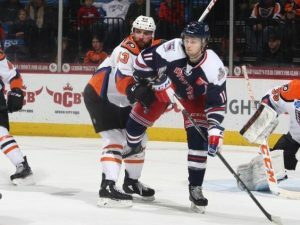 The Hartford Wolf Pack will make their first trip to Allentown this season. Lehigh Valley went 1-1-1 in their three trips to Hartford this year, most recently falling 6-5 in overtime on January 18. The only win against the Wolf Pack came on October 24 with a 7-3 victory. The Phantoms and Wolf Pack will play back-to-back games with a 3PM rematch on Sunday. Hartford currently sits in last place in the Atlantic Division and has the worst record in the Eastern Conference. 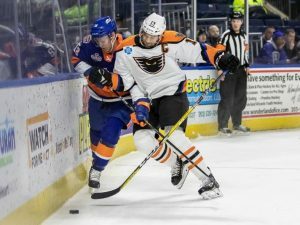 The Connecticut native, Colin McDonald has led the way for the Phantoms with five points in three games against Hartford this season. The Phantoms Sled Hockey team presented by Phantoms Charities is now official! The athletes and coaches received their Phantoms-modeled jerseys that have their personalized names and numbers. The coaches presented the athletes with their jerseys at a ceremony where they highlighted each athletes’ strengths. 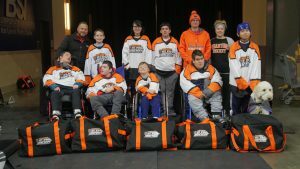 Check out the Phantoms Sled Hockey team when they hit the ice at the Phantoms game on Friday, February 15 for You Can Play Night.